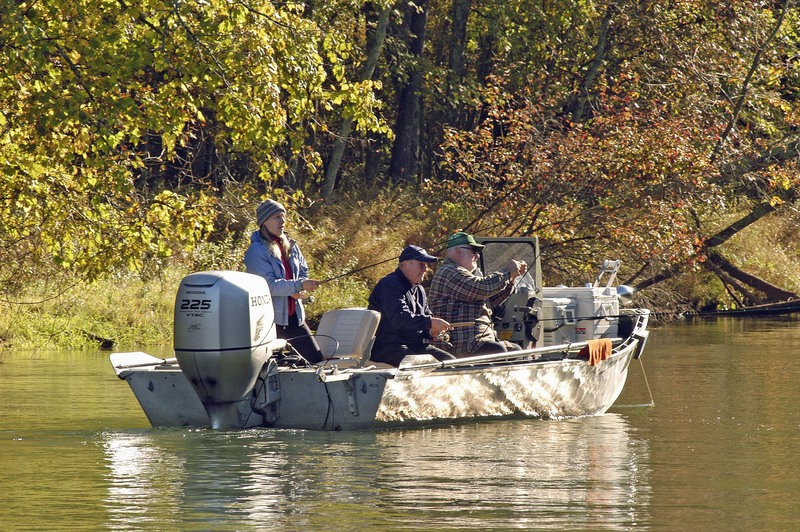 Weights are no longer required when entering fish in Michigan’s Master Angler program. Photo: Howard Meyerson. Grand Rapids, Mich. — No more looking for a certified scale in the middle of the night for that monster walleye. That’s the word from the Michigan DNR, which recently revised the rules for the state’s Master Angler program. The weight requirement has been eliminated for the program’s catch-and-keep category, along with other changes. Michigan’s Master Angler program was launched in 1973 as a way to recognize anglers who caught unusually large fish in Michigan waters. There were 19 eligible species, and 123 qualifying applications were received its first year. The list now includes 52 eligible species. It has become a popular source for anglers who scan it to identify Michigan waters that hold big fish. Fish entered in the program’s catch-and-keep category have had to meet a weight requirement. Fish in the catch-and-release section, which was added in 1992, have had to meet a length requirement. Both categories will now require the same to enter. Master Angler entries for 2014 have not been compiled fully, Thoma said, but it appears the total will be lower than 2013. She received 1,208 qualifying applications in 2013. She got 1,189 qualifying entries in 2012. • Quillback carpsucker (23-inches) shot by Benjamin Frey, of Grand Rapids Mich., while bowfishing on Hardy Dam Pond in Newaygo County. “Five state records in one year; that’s pretty good,” Thoma said. Other changes to the program include eliminating the required witness signature and limiting Master Angler patches to one per angler per species, even if they have two bass, for example, to enter in the catch-and-release and catch-and-keep categories. Thoma hopes the changes will encourage more participation by youth anglers, too. The streamlined entry requirements could make it easier for them to be listed. “It will be great to have that 6- or 8-year-old be able to submit a bluegill to the program because it was long enough, even though it didn’t weight enough,” Thoma said. Thoma said the revised rules, entry forms, state records, and prior year listings can be found online at Michigan’s Master Angler Program. This entry was posted in Uncategorized and tagged DNR, Fish, Fishing, Master Angler Program, Michigan Department of Natural Resources. Bookmark the permalink. The changes do make sense.